I guess most of you noticed Jay's announcement that the Mouse is purchasing 21 acres of oceanfront property on Hawaii's island of Oahu. This is part of their new stand-alone model to put Disney properties into areas that don't have Disney Parks & Resorts and yet have a large growth factor for Disney branded entertainment/merchandise... plus it's a whole lot cheaper investment than the building of a large, expensive theme park and resort with all the hotels, retail and rides. But noticed I said "global"? But come the end of this decade your choices for vacations around America and then the world will have another choice besides Marriott, Hilton and Holiday Inn... you won't have to get into a theme park to stay at a Disney Hotel. Unless of course, you go to the Resorts just to stay at the hotels. The term Disney Hotels is about to get much broader... and that's a good thing, don't ya think? I am excited about the idea of Disney stand alone resorts. Especially if they each offer a unique experience. I was disappointed that Jay didn't provide much details for the Hawaii resort (or project Lilo as I like to call it). For example, is the beach area going to offer anything special and unique like a surf zone, dolphin experience, scuba experience, etc? This resort and the many blue sky resorts have me more excited to become a DVC member once I can afford it. Another resort I would like to see is a ski centric resort located in the Rockies or Alps (perhaps they can include a blizzard beach water park for the summer months). I like the opportunities to have the Disney touch elsewhere besides the existing parks (Disney's Hilton Head is amazing). I just don't want my vacations to be dichotomized by having too many Disney options! Its too early to tell if this program is going to be a success or not. Plopping down a hotel in the middle of Hawaii is a no brainer. The tourism traffic is enough to sustain even the most crappy hotel. None of these hotels are going to exist in the same bubble the resort hotels are in. Disney's hotel experiences are not the best in the world. The only reason many of them are successful is because of their proximity to the parks. Agree with anonymous - while Disney hotels are nice experiences, the main draw is proximity. They'll have to up their game to compete with companies that do this as their core business. Also, while it is nice as a DVC owner to see Hawaii as an option, I think this is a bad business move for Disney. True, it broadens the experience and will likely attract more members, but the real value for Disney in the DVC is that it locks buyers into 30 years of annual trips to the theme parks. Sure they offer other options now but none of them make any sense to use based on their associated cost in points. The more LBE/DVC they offer, the more temptations there will be to take a year off from the mouse house. It's a calculated risk for sure, growth in DVC vs. potential loss at the overall parks. I'm sure they are crunching the numbers and working it out, but my armchair executive says it's a risky move. First time visitor here. Awesome blog! I first went to Hawaii in 2002 for work, and LOVED it. When my wife and I got married in 2004 we went there for our honeymoon. One thing I noticed the first time I was there was the number of Disney-related products available for sale. At first, I was a little surprised, given how far away from a Disney park you are. However, after thinking about it for a little while, it made complete sense to me. Hawaii draws in a LARGE number of Japanese tourists. Given how big Disney is in Japan, selling Disney-related merchandise to the tourists (Hawaii T-shirts with Mickey on them, hula Mickey plus, etc.) makes a lot of financial sense. I'm sure this, combined with the possibility of using it as a port of call for DCL, is why Disney chose to build this resort. 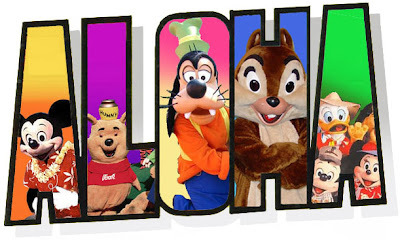 From the first time I visited Hawaii I thought it would be a great place for a Disney resort. I'm glad that they thought so, too. Can't wait to see it!